Join 14 diverse ceramic artists from Hawaiʻi Island for the 8th Annual Volcano Pottery Sale, on June 10 & 11, 2016. The sale will be held at the Niaulani Campus of the Volcano Art Center, in Volcano Village from 3:00 – 7:00pm on Friday, and 9:00am – 3:00pm on Saturday. This is a great opportunity to see a wide range of ceramic works, all in one location, and to meet and talk story with the artists. The cool rainforest surroundings of Volcano Village create a serene environment in which to enjoy the finely handcrafted wares. 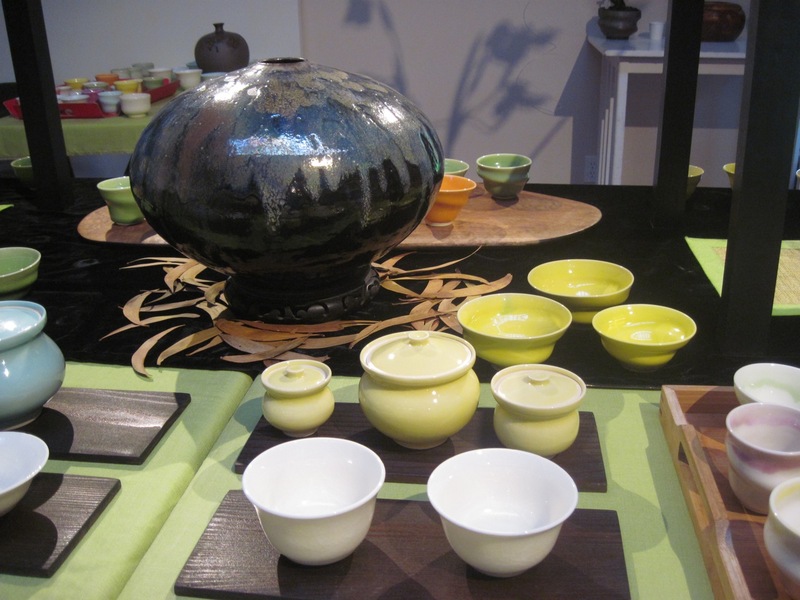 Functional pottery and ceramic sculpture ranging from low fired Raku wares to high fired porcelain with crystalline glazes and soda fired stoneware will be shown. Meet the artists and view their many unique pottery styles all at one venue, including both functional & sculptural work. There will be wheel throwing demonstrations on Saturday. There is plenty of free parking at the Niaulani Campus, located at 19-4074 Old Volcano Rd. in Volcano Village. Bentos and sushi from Volcano Hanabi will be available on Friday. Thai Food from Aunty Pon’s Café will be available on Saturday.